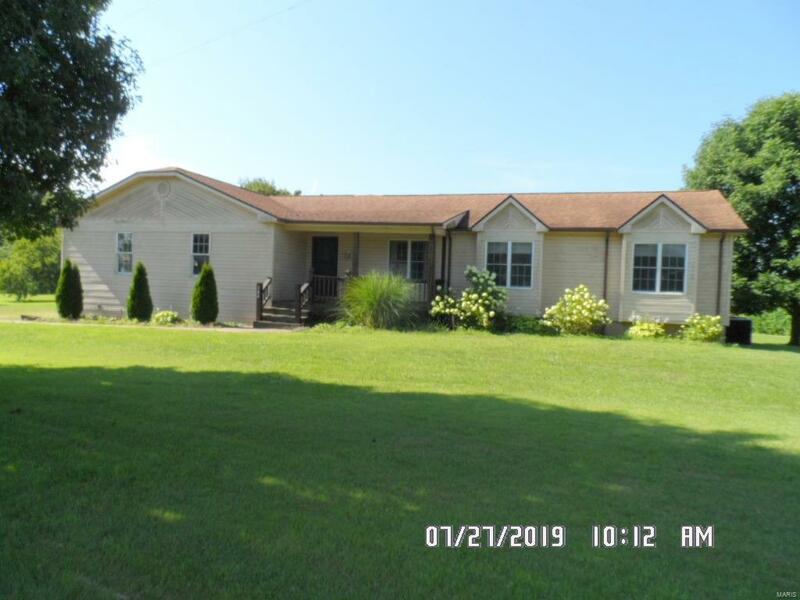 THE PERFECT HOME FOR HORSES WITH ITS 21 ACRES OR JUST LIVING A QUITE LIFE, THIS 3 BEDROOM 2 BATH HOME IS JUST WHAT YOUR LOOKING FOR. LARGE UNFINISHED BASEMENT FOR STORAGE, TWO CAR ATTACHED GARAGE WITH WHEELCHAIR ACCESSIBLY. THIS HOME ALSO HAS A COFFERED CEILING IN THE DINING AREA, A VAULTED CEILING IN THE LARGE LIVING ROON, NEW CARPETING IN THE BEDROOMS, AND HAS BEEN FRESHLY PAINTED. IT IS A MUST SEE FOR ALL THE FEATURES THIS LOVELY HOME HAS TO OFFER. CALL FOR AN APPOINTMENT. SELLER IS WILLING TO SELL HOUSE AND +- 5 ACRES. Elementary School: Bismarck R-V Elem.